What rain turned out to be is quite different from what I expected. At least it’s quite different in tone. I expected rain to be a calming and perhaps mysterious game. Maybe something similar to the feeling I get just from standing out alone in the rain. Instead the majority of rain is actually really tense and in some ways stressful as you’re consistently chased by an unknown creature that ultimately never stops coming at you. Unexpectedly I was reminded of stressing out over Nemesis, of Resident Evil fame, every time he showed up. That said it’s the contrast between a rather serene soundtrack/atmosphere and running from a dangerous creature that makes rain work so well. 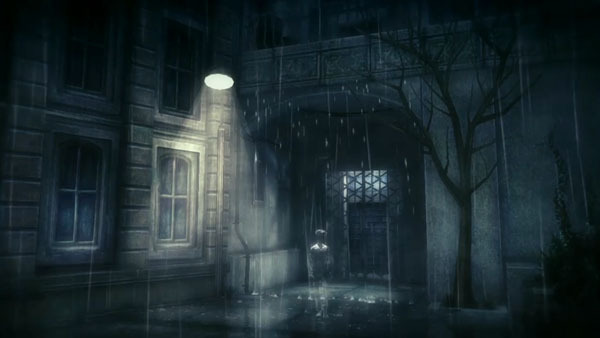 Rain transports a young boy into a mysterious world of endless rain. It’s here that he’s only visible through the outline that individual raindrops form as they land on him. Outside of the rain and you’ll only be able to locate yourself through subtle footprints left behind as you walk. Almost immediately you find that you’re not alone in this world as you find there’s a young girl running from mysterious creatures simply referred to as ‘unknown’. Throughout the game’s short three hour playtime you’ll befriend this girl and attempt to discover what’s going on and ultimately find a way back home. Throughout its eight chapters rain rarely stops the action to tell its story. Instead as you play, text will appear lined up with the architecture of the city delivering small bits of information as the story progresses. Part of me feels like rain might have been better served without any of the text. Some of it provides hints as to what you need to do, despite things being pretty clear themselves, and in general the text spells things out for you a little more than I would have liked. Much of rain will have you running away and hiding from the unknown creatures. There’s some stealth and puzzle elements but nothing too complicated or difficult. Things can get rather tense during the sequences in which the main ‘unknown’ is chasing after you but I personally never had any trouble getting by. I don’t really mind the lack of difficulty, linearity or how short-lived the game is but be warned that this isn’t for everyone. 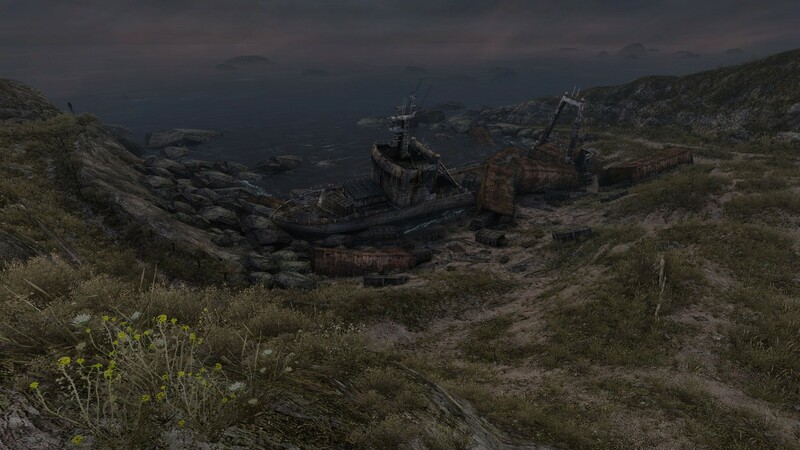 There’s not much depth to the game and the only reason to play through a second time is to collect memories, unlocked upon finishing rain the first time, that fill in some details for the characters. You’re going to be climbing ladders, hiding in areas the rain can’t reach, helping the girl climb to higher places, and pushing/pulling parts of the environment. It’s simplistic but rain features a strong atmosphere that carries the game through to it’s conclusion. The sound of rain falling down mixed with the rather serene soundtrack clashes with the tension brought forth by the ‘unknowns’. The chase sequences never last too long and the downtime between them is just the right length so that things never start to drag. It’s an interesting pace and left me feeling pretty tense even after finishing the game. I think rain is pretty cool. It’s short enough so that the rather basic gameplay doesn’t grow tiresome and what it lacks in depth it makes up for in atmosphere. While the text on the screen tends to spell things out for you a bit too much that’s not that big of an issue. Ultimately rain leads to some interesting places thematically and I’m glad I got to spend time with it.